GRAND CHEROKEE LAREDO 4WD. REAR CAM, HEATED LEATHER, BLUETOOTH. CHECK OUT THE VIDEO! ARJ'S AUTO SALES IS PROUD TO PRESENT THIS SHARP 2011 JEEP GRAND CHEROKEE LAREDO 4WD! THIS JEEP IS SHARP IN A BLACK METALLIC OVER A CHARCOAL LEATHER AND ALUMINUM ACCENTED INTERIOR. EQUIPPED WITH A REAR CAMERA, HEATED FRONT LEATHER, AUXILIARY AND USB PORTS WITH A HARD-DISK DRIVE WITH AM/FM RADIO WITH CONTROLS ON THE STEERING WHEEL AND SHARP ALLOY WHEELS HAVE TIRES WITH GREAT TREAD. THE 3.6L V-6 OFFERS ALL THE POWER YOU NEED ALONG WITH JEEP’S LEGENDARY 4WD SYSTEM! THIS IS A NICE JEEP. WE WELCOME ALL OUT-OF-STATE BUYERS AND TRADE-INS. AIRPORT, BUS AND TRAIN STATION PICK-UP IS NO PROBLEM!!! 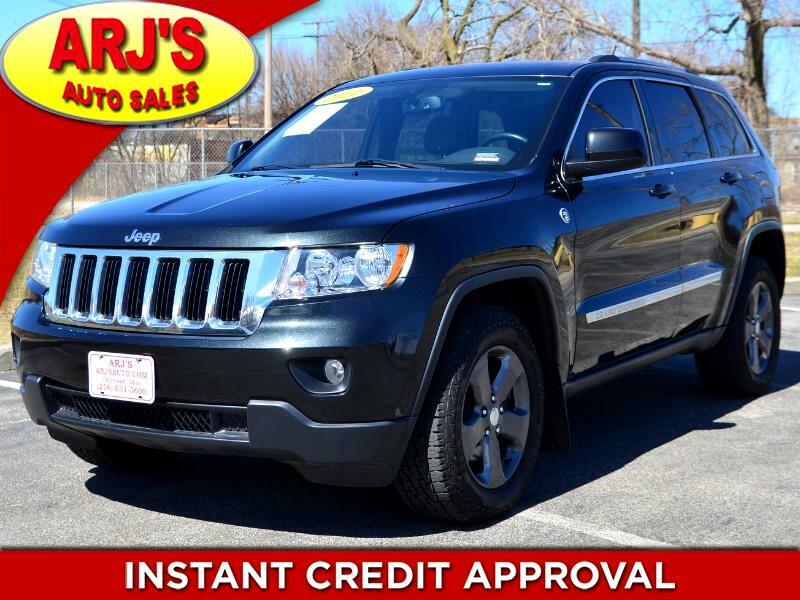 FOR MORE INFORMATION AND TO SEE THIS JEEP, CALL 216-631-3600.